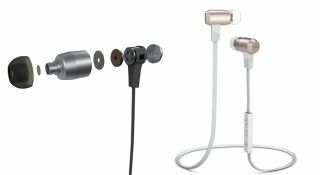 Optoma unveils NuForce BE6 wireless in-ear headphones | What Hi-Fi? The NuForce BE6 in-ears are made from aluminium and are designed to be "durable and attractive for all lifestyles". Optoma has fitted the wireless headphones with a newly developed 10mm driver, which is said to eliminate unwanted resonances thanks to its use of titanium, magnesium and an inert metal, which together form a thin nano-layer over its surface. The drivers are housed within a precision-machined lightweight aluminium casing, which is claimed to further add to the rigidity and eliminate resonances. Optoma says the BE6 are different to the majority of other wireless headphones because they "maintain absolute sound and weight balance between the left and right earphones", with the microUSB charging socket placed within the built-in remote control. The NuForce BE6 come supplied with four pairs of custom designed silicone ear tips, which are slightly shorter than traditional tips, and have an “acoustically calculated” flare opening. Some pairs of Comply foam ear tips are also provided. Wireless headphones, they connect to devices via aptX Bluetooth, and the built-in rechargeable battery is said to provide up to six hours of playback. The Optoma NuForce BE6 wireless earphones are available now in grey and gold for £100.